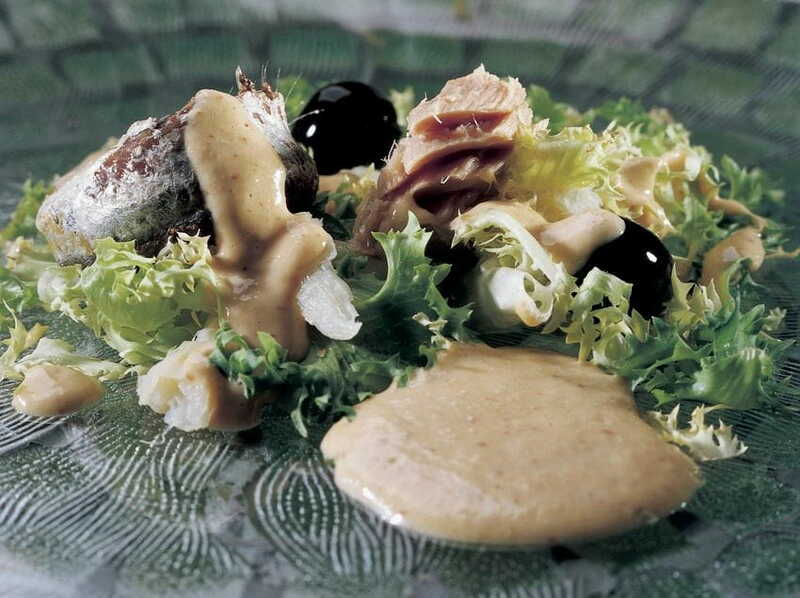 Escarole, cod, tuna, anchovies and arbequina olives are some of the ingredients of a genuine xató. The tradition of this dish is long-standing. It dates back to a time when wine merchants visited the so-called historic Penedès to taste the wines. Once the agreements were made, they were invited to eat what was in the larder during the winter: salted fish and vegetables seasoned with a special sauce. The sauce is a combination of almonds, hazelnuts, garlic, bread, red peppers, chili, olive oil, salt and vinegar. Each town has its own variation: a good reason for curious travellers to come and taste the different styles while enjoying the area's many tourist attractions. The Xató Route connects nine municipalities to this historic dish. The "xatonada" season extends from November to April, and from January to March popular festivals are celebrated weekly. More than one hundred restaurants are attached to the Xató Route and feature special menus based on this dish during these months.